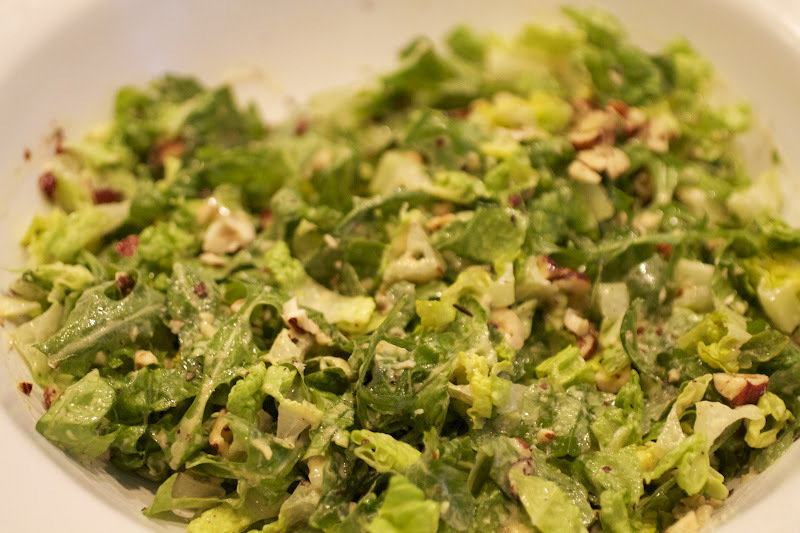 I made this salad with arugula, romaine, maille hazelnut oil, maille dijon mustard, freshly chopped and roasted hazelnuts, white balsamic vinegar, salt, pepper and lemon olive oil. This is a heavier salad but is unlike any salad I have ever made/ate. You could try this out with any other kind of nut as well!